Q: I hate my large pores on the face. Can I get improvement by tightening the skin with Ulthera? A: No. Ulthera can provide some lifting of the face without surgery, but it does not affect the surface of the skin. You might get improvement with Fraxel laser. Q: For ten years I have had Botox in my glabella and upper forehead. Now it seems that, at the age of 44, I can't get Botox of the forehead without my upper eyelids sagging. It bothers me when I put on mascara but I hate the forehead lines. The doctor suggested I get a brow lift but I don't want surgery. Are there any other alternatives? A: Filler can be injected into the upper outer eyebrow to give the periorbital area support. Usually I use Restylane in this area. This however, is often not enough and if surgery is not done, then non-invasive tightening could be done, if the skin is photodamaged enough and warrants ablative therapy, with Fraxel Repair or Plasma resurfacing. Lifting might be accomplished more effectively with either Thermage or Ulthera. Ultherapy has become an additional tool that physicians have in their armamentarium to fight the aging process. The FDA cleared Ulthera for skin lifting without surgery. There is virtually no down time but the effect can take between three and six months, or more, to be realized. The amount of lift will not be the same as surgery and no patient should consider having the treatment if they think they will get such a great response. Q: I heard about a treatment that does not involve surgery that can lift the jowls of my face and allow me to go out socially the next day. How can this be? A: Ultherapy is a treatment that involves focused, concentrated, intense, ultrasound energy in a fractional delivery. It penetrates the outer layer of skin, the epidermis, without injuring it and affects the deep dermal tissues. The SMAS layer, a connective tissue layer that plastic surgeons mechanically tighten with stitches during facelift surgery to lift the skin, tightens by itself after it absorbs the Ulthera energy. Dermal collagen also is stimulated to grow and contract. The FDA cleared Ulthera for skin lifting. It won't give a result as high a lift as surgery, nor can anyone be guaranteed a result, but without surgery to see such a good improvement in many individuals is rewarding. 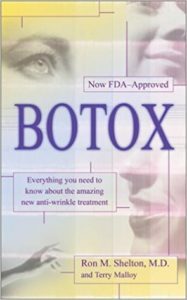 Q: If ten years ago I was able to get my forehead lines completely removed with Botox, why does my doctor in NYC now say that the forehead shouldn't be treated any longer? I was recommended to have Ulthera instead, why? A: As we age, the forehead drops and with that, the upper eyelids can sag over the pupil and even obstruct our upper field of vision. We use the forehead muscle and start to contract it all the time, even without our knowing, to help lift the upper eyelid. 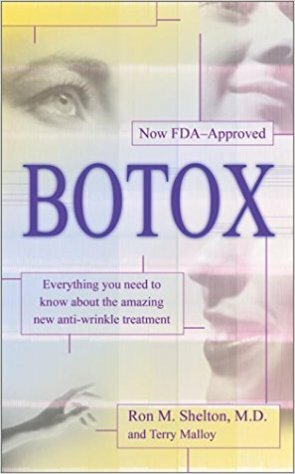 If Botox relaxes the forehead muscle to eliminate the lines, then we can't help lift the eyelids. The eyes become smaller-appearing and the eyelids droop more. This is then fixed with either a blepharoplasty (eyelid surgery) or a combination of a brow lift and blepharoplasty. When the droop is not too excessive, some patients can get a lift from Ulthera or Thermage. Ultherapy uses a focused deep and strong ultrasound energy that heats up the tissue and causes the collagen to contract. Ulthera has obtained FDA clearance for lifting without surgery. It works well for some, but not all patients, and never will produce the same tightening that surgery does. Q: If I had Restylane in NYC injected along my smile folds, can I still have Ulthera? A: Yes, Ultherapy does not treat this area of the face. Ulthera is used on the mid cheeks, neck and forehead. If you had filler injected in the cheeks, within the path of Ultherapy, the Ulthera energy might affect the filler. Currently investigations are being done to determine if the longevity of certain fillers are affected by this energy. Q: My mother wants a facelift but her doctor says her heart should not be traumatized by general anesthesia. 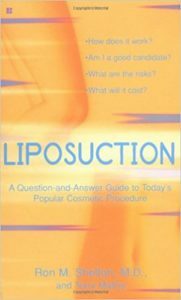 If the plastic surgeon can't do a facelift with local anesthesia, is there an alternative method that can be done, such as Ultherapy in NYC? A: Possibly, Ulthera may provide your mom with some improvement over six months after the treatment with Ultherapy but the older one is, the less the improvement is expected with Ulthera. This is because the surgery would physically cut away loose skin and sew together the skin tightening the face as it closes. Ulthera is different, as it relies on the physical properties of the collagen and connective tissues in the deep dermis to contract after the ultrasound energy. Older skin does not contract as well and terribly sun-damaged skin also does not respond as well. Q: Can I expect my upper eyelids to lift a 1/4 inch after Ultherapy? A: No. We treat the forehead with Ultherapy to lift that area, and in turn, lift the eyebrows and upper eyelid complex. We can't treat the upper eyelids directly with Ulthera. There may only be a 1/16th inch or less of a lift but we can also do Thermage on the upper eyelids to help raise them more. Q: Are there any devices that can lift as well as Ultherapy? A: Without surgery, I am not sure that there are any devices that can match the lifting that Ultherapy can provide. Thermage has accomplished this well on some patients but we have seen better improvement with Ultherapy in the right candidates, but there is no non-invasive procedure that can equal the amount of lift as a facelift. Q: I have facial seborrheic dermatitis. Will this prevent me from having Ultherapy? A: No. Ultherapy can help lift the face without perturbing the seborrhea. Ulthera delivers deep ultrasound energy to the dermis avoiding injury to the epidermis. Q: I had Ultherapy done a week ago and love it already. My doctor said I should have Sculptra now, can I have this filler so soon after Ulthera? A: Yes. Sculptra, Radiesse, Restylane, Juvederm, Perlane and fat injections can be done right after Ultherapy without compromise. Q: I had a facelift one year ago and need more tightening but don't want to undergo surgery for this little bit. What can be done? A: Possibly Ultherapy may help tighten and lift your tissues somewhat. Plastic surgeons have done Ultherapy on their patients who have had prior facelifts with good results, and I have done Ulthera on patients who had a facelift in the past and have been pleased with the lifting. Q: I am 79 and have not such a great heart. I want my face to look a little tighter but can't have a facelift. I don't want all my wrinkles gone. Would Ultherapy work for me? A: It is not the age that would prohibit you from having Ultherapy, nor prevent you from having a great result. If however, you are a long time heavy smoker, had lots of sun exposure and deep dermal sundamage which weakened your elastic fibers and collagen, then you may not get as wonderful a result as someone else. Fortunatley, though, there are no requirements of anesthetic so medially you could be fit to undergo the Ultherapy.